The upstate New York crash left 20 people, including the driver, dead. 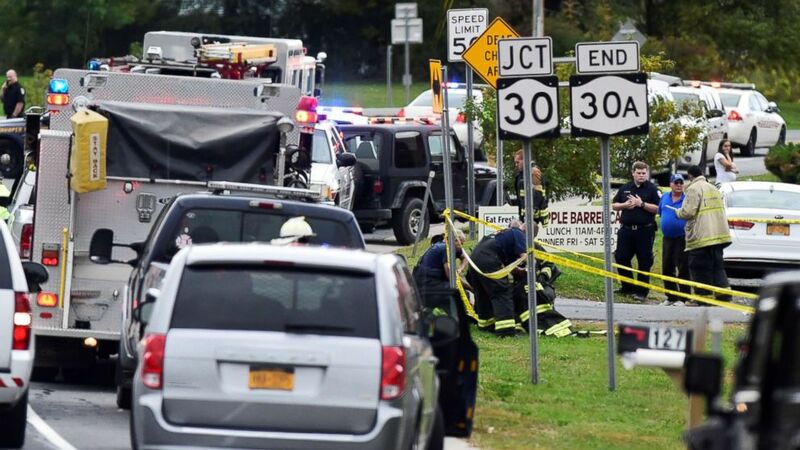 The son of the owner of the limousine company involved in the deadly crash in upstate New York that left 20 dead has been arrested, according to state police and his lawyer. Shahad Hussein, the owner of Prestige Limousine, the company that rented out the stretch limo, is currently in Pakistan but he left the day-to-day operations of the company to his son, Nauman Hussain. He was charged with criminally negligent homicide, police said. A source familiar with the matter told ABC News that he is being charged because he put a defective vehicle back on the road and hired a driver he knew was not properly licensed. The family of the driver, Scott Lisinicchia, said that he had a chauffeur's license. The development comes shortly after it was revealed that Lisinicchia had been cited in August for operating the same limousine without the proper license, according to the New York State Police. The Oct. 6 crash killed Lisinicchia, the 17 passengers and two pedestrians. Lisinicchia's driving history and the safety record of the vehicle are under scrutiny as federal and state officials investigate the crash. On Aug. 25, a state trooper with the commercial vehicle enforcement unit stopped a 2001 Ford Excursion stretched limousine in Saratoga Springs. Lisinicchia was behind the wheel. (Peter R. Barber/The Daily Gazette of Schenectady, N.Y.) The scene of a deadly limousine crash in Schoharie, N.Y., Oct. 6, 2018. The state trooper issued violations Prestige Limousine and advised both Lisinicchia and the company that he "could not operate the limousine without additional licensure," a state police source told ABC News. The source said the trooper also took steps to ensure the vehicle was taken off the road, returning it to its original location and directing the driver not to drive the limousine. This comes after Lisinicchia's family said he had expressed concerns about the company's cars in the past. Richard Burke, a spokesperson for the Lisinicchia family, told ABC News that Lisinicchia's wife said "he had complained to her regarding the condition of some of the vehicles. In fact they said that one time he was driving one of the vehicle’s and a muffler fell off with clients in the car and he had to stop the car, get out of the car, remove the muffler and move it to the side of the roadway." A lawyer for the limousine company said the car failed the safety inspection over minor problems. "As we understand right now, the inspections last month were minor things - windshield wipers, a latch on a window that needed to be fixed - and all those things were fixed," lawyer Lee Kindlon, who represents Prestige Limousines, said on "Good Morning America" Tuesday. 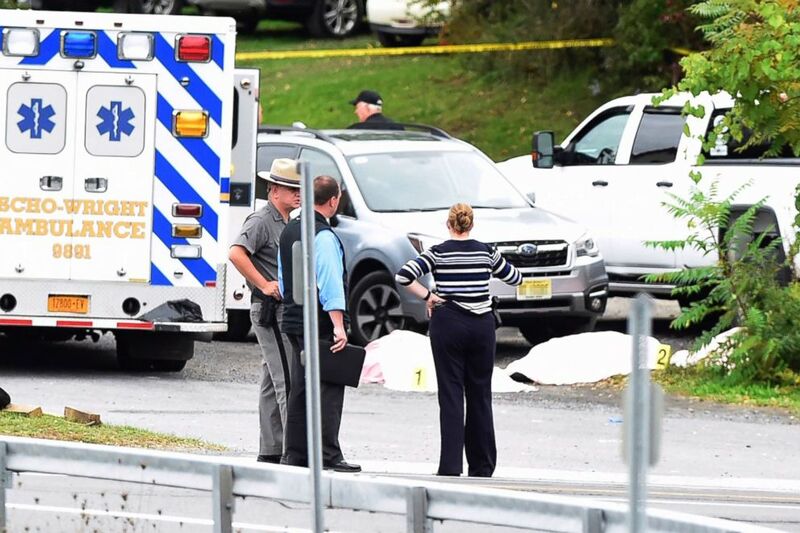 A spokesperson for the New York State Department of Transportation disputed that account, saying the vehicle involved in the Oct. 6 crash failed a Sept. 4 safety inspection. "The assertion that the limousine was cleared to be on the road following the September inspection is categorically false," the spokesperson said. "The vehicle was subject to inspections and the owner was warned not to operate the vehicle; the vehicle was placed out of service." With the Aug. 25 traffic stop and the Sept. 4 citation, that means that the vehicle was ordered off the road twice in 10 days. The investigation into the crash, which National Transportation Safety Board chief Robert Sumwalt said is the deadliest transportation accident in the U.S. since August 2009, is ongoing.